A merger between the two companies would have curtailed the ability of prisons and jails to choose a phone provider, to the detriment of incarcerated people and their families. Easthampton, Mass. 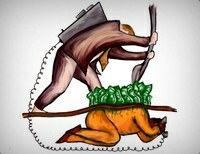 – Prison phone industry giant Securus has abandoned its attempt to purchase ICSolutions, the industry’s third largest company, after the Federal Communications Commission and the Department of Justice’s Antitrust Division signaled that they would likely block the deal. The merger would have effectively handed the market for prison and jail phone services over to Securus and its last major competitor, GTL. “Based on a record of nearly 1 million documents comprised of 7.7 million pages of information submitted by the applicants, as well as arguments and evidence submitted by criminal justice advocates, consumer groups, and other commenters, FCC staff concluded that this deal posed significant competitive concerns and would not be in the public interest,” said FCC chairman Ajit Pai in a press release. In our objection to the merger, filed in July 2018 with a coalition of groups working for prison phone justice represented by probono attorneys Davina Sashkin and Cheng-yi Liu, we argued that the FCC should stop the merger. We argued that Securus’ history of repeatedly flouting commission rules – including deliberately misleading the FCC during a similar review last year, for which it was punished with an unprecedented $1.7 million fine – made it ineligible to purchase one of its competitors. We explained that the company has repeatedly tried to circumvent regulation in order to increase its profits from prison phone calls, and as recently as May 2018 was caught enabling illegal cell phone tracking. Our filing included a detailed analysis of the concentration of the prison and jail telephone industry. We calculated market share in two different ways; by either measure, Securus and GTL were poised to control between 74% and 83% of the market. Except for ICSolutions – which Securus was seeking to acquire – no other company had above 3% market share. 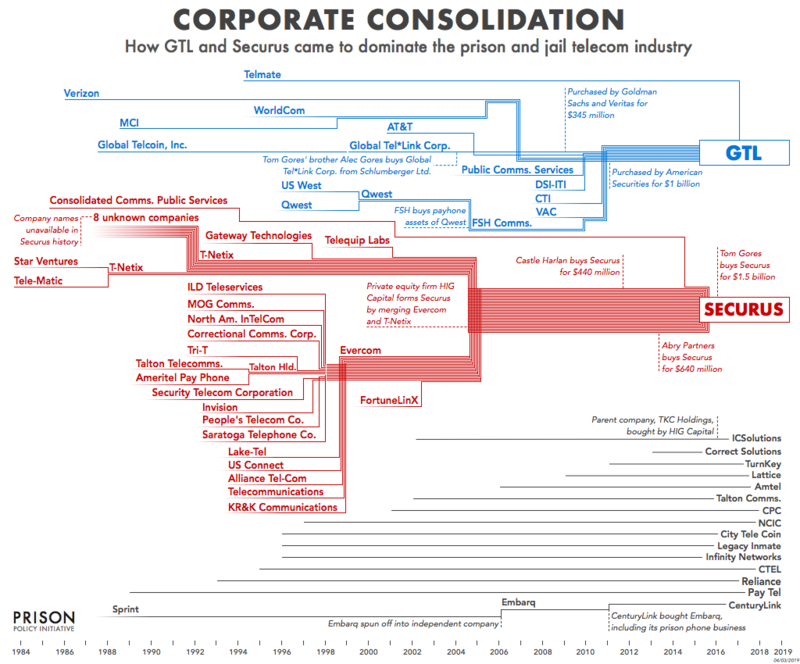 For more information about this timeline, the companies, their respective sizes, the role of companies like CenturyLink that operate only in partnership with Securus and ICSolutions, or the historical role of AT&T and Verizon, see our report, the footnotes, and appendices to State of Phone Justice: Local jails, state prisons and private phone providers. Updated April 3, 2019 10am with FCC press release and 1pm with the Department of Justice’s press release.